I first tried this perfume from a sample in a magazine, absolutely loved it. The Hubs bought it for me for Christmas several years ago and I still love it as much as the first time I tried it. It lasts all day and night. I love the smell - not overwhelming. Just what you need to be elegantly respected. It's for refined ladies, it's what I think. Get compliments all the time - I smelled it first on my daughter (30). Would like also to try the yellow one and compare. I used it day or night. All is perfect. I didn't like the top notes, it was bitter. Then the secondary notes started to settle into something more pleasant. But the base scent was very lovely, a very sweet carmel warm floral ending. My only complaint is I wish the scent lasted longer then it did. 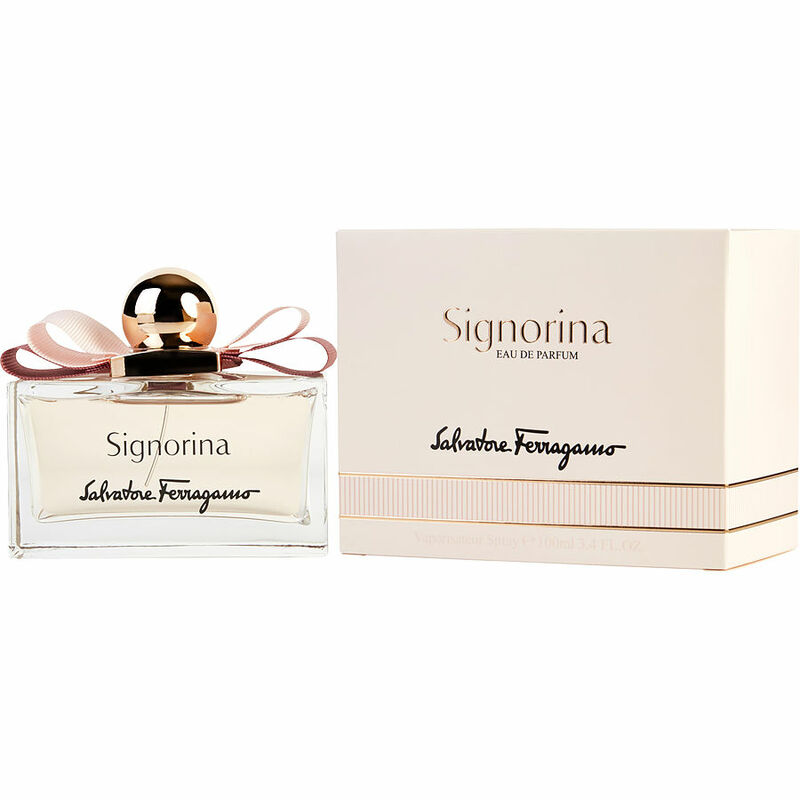 The fragrance I'm reviewing is Signorina.